Timothy Janocko, junior-senior high school principal, has plans to retire, effective June 30, announced Superintendent Terry Struble at Monday’s school board committee meeting. He said Janocko has been with the district for 38 years, and began as a health and physical education teacher. Later, he moved into roles as a school guidance counselor and assistant principal. Janocko was promoted to principal in 2012 and will complete his seventh year in this role in June. “It’ll be hard to fill this position [with someone] with Mr. Janocko’s experience,” Struble said. 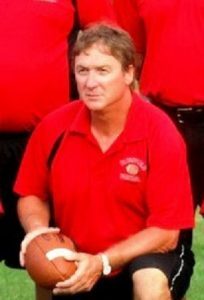 While Janocko plans to retire as an educator, he doesn’t plan to give up the helm of the Clearfield Bison Football program, a position he’s held since 1985. The board must still approve for its president to effectuate all the necessary retirement paperwork at its regular monthly meeting next week. Struble said they also want to seek applicants for a second assistant principal position at the junior-senior high school. This position, he said, wasn’t filled when it was vacated by Fred Redden. Redden left the position in 2016 to be the principal of the Clearfield County Career & Technology Center, and in 2018, he was named the CCCTC’s executive director. Struble said Heather Prestash is the only assistant principal at the present time, and she must also oversee students in the district’s Cyber School program. Then, he said it would like board approval to move current Elementary Principal Mary Mike Sayers to a position titled “director of intervention services,” effective July 1. Struble said these changes would help fill a void left by the 2016 resignation of Bruce Nicolls, the former director of curriculum and federal programs. Struble said next week, the administration will request the board’s approval to advertise the soon-to-be vacant administrative positions. The district will interview all interested candidates. He noted Sayers won’t be moved to her new position until the district finds a qualified candidate for the elementary principal position at Clearfield Area Elementary School.